Music at Gallery Place, Judiciary Square and Columbia Heights is part of an effort by General Manager Paul Wiedefeld to boost rider comfort in — and perceptions of — the system. 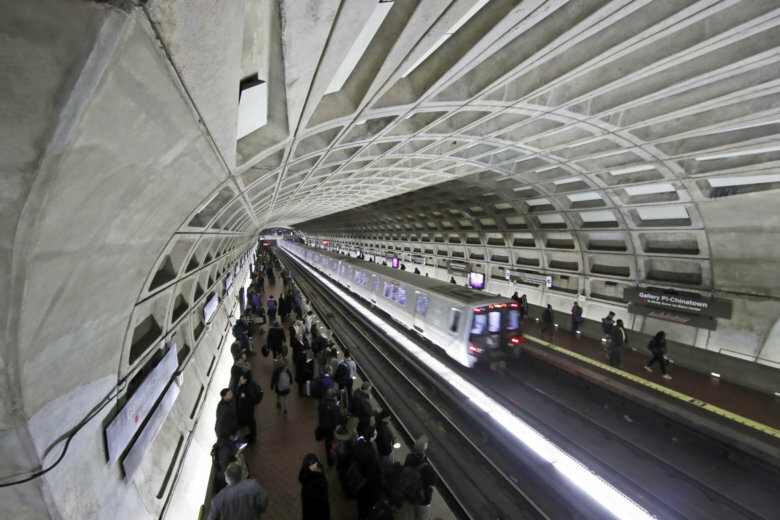 WASHINGTON — The music playing on platforms at three Metro stations appears to be here to stay. When not overwhelmed by the sound of trains or escalators, or interrupted by station announcements, riders can now hear the music at Gallery Place, Judiciary Square and Columbia Heights. iHeartRadio is providing the music at no cost to Metro, Metro spokesman Dan Stessel said. The media company sometimes announces between songs that they operate the music station that is playing and there are sometimes song introductions from DJs. Metro started with its own music playlist at Gallery Place in late 2016 as part of an effort by General Manager Paul Wiedefeld to boost rider comfort in — and perceptions of — the system. Before taking over at Metro, Wiedefeld had worked in the airport industry, where elevator-type music is commonly piped in. The music at Metro stations has generally been smooth jazz or similar music that’s usually wordless. Individual riders have given the music mixed reviews.